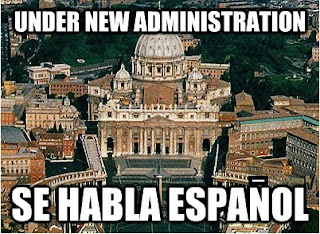 Here is a meme I posted just a couple of ours after Cardinal Bergoglio became Pope Francis. I posted this in the Catholic Meme Facebook page and got 1500 likes in 5 minutes! It took me almost ten minutes to add the tilde over the N.